When people talk about the Nazi genocides the focus of attention is, naturally, on the 6 million Jews who were murdered during the Holocaust. 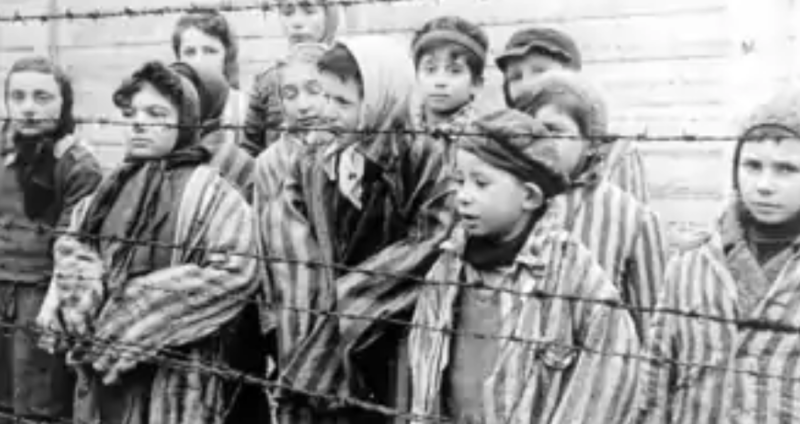 What is often forgotten, is that over 5 million non-Jews were also killed under the Nazi regime. They included Gypsies, Jehovah witnesses, homosexuals, blacks, the physically and mentally disabled, political opponents such as Communists and Social Democrats, dissenting clergy, resistance fighters, prisoners of war, Slavic peoples and many writers and artists whose works Hitler condemned. 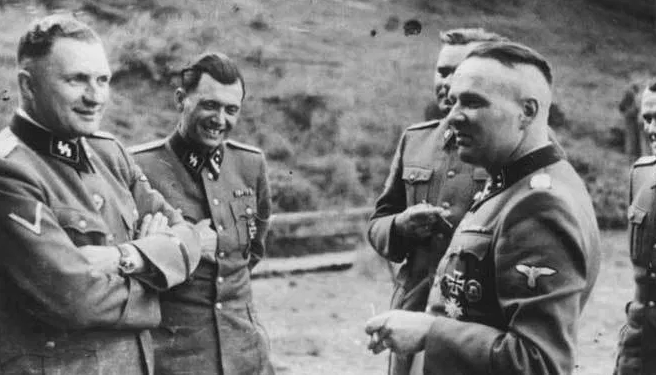 The Nazi justification for the genocide was their belief, derived from Nordic legends, that Germans constituted a ‘master race’ of blue-eyed, blonde haired people of Nordic stock known as Aryans. An SA poster for the ideal Aryan, blond haired and blue-eyed. As such they had the right and duty to determine who should live and who should die. Who should be sterilised or experimented upon in the interests of achieving racial purity and who should become slaves of the Third Reich. The Professors ‘good fortune’ included the case a deaf 9-year-old girl who had been taken to hospital, by her school principal, to be sterilised. When she came out of the anaesthetic, the girl found her parents sitting beside her bed and weeping. To prevent protests, the state had not notified them beforehand. 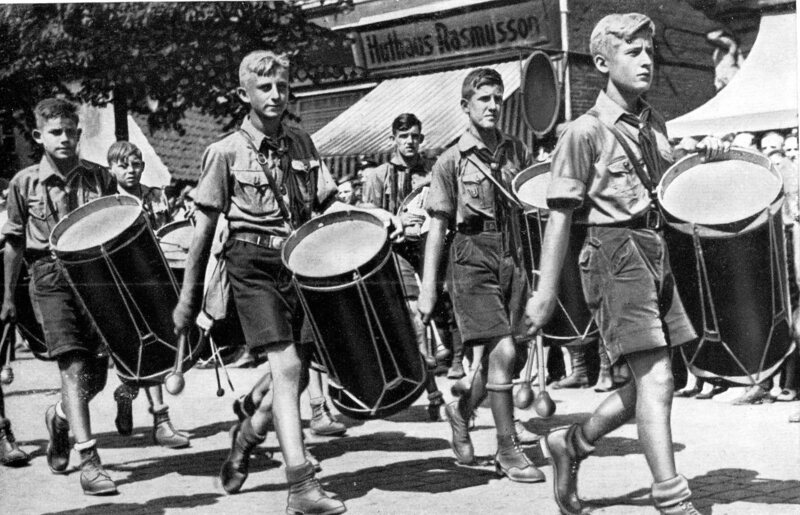 The Nazis also had a significant impact on the fate of the offspring of German women and African soldiers who had been stationed in the Rhineland after World War I. Condemned as ‘Rhineland Bastards’ they could be picked up from the streets or from classrooms and sterilised, often without anaesthesia. It is estimated that approximately 400 such children were denied their right to reproduce. When war broke out, in 1939, Hitler ordered the elimination of the mentally retarded whom he classified as “useless eaters”. 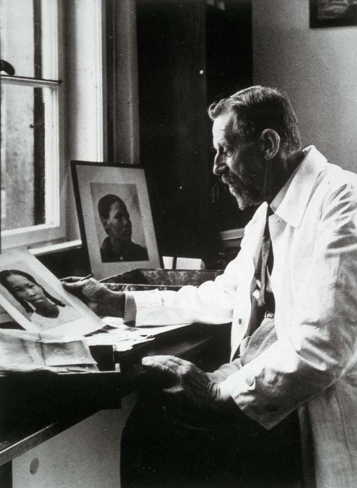 One of the main leaders planning the euthanasia-program, was Professor Viktor Brack. On 9 October 1939, he told a meeting of the steering group (including medical doctors and professors and a member of the Kripo (Criminal-Police) that he had created a formula to determine how many should be killed. This stated that for every 1,000 Germans, 10 needed psychiatric care;. Of these ten, five would be hospitalised and, of those five, one killed. Given the population of 65 to 70 million at that time, Brack estimated the result would be that between 65,000 and 70,000 should be killed. Priests and ministers who spoke out against the Nazis were labelled “political opponents” and “enemies of the state”. 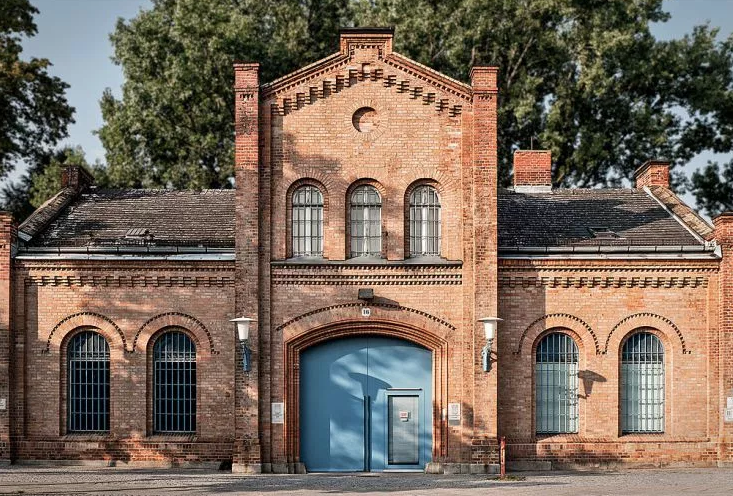 Many were sent to a special barracks in Dachau concentration camp, to prevent them from offering solace or rites to other inmates. Like them, they were used as slave labourers and in medical experiments. Of the 2,700 priests and ministers from nineteen occupied countries interred in Dachau, 1,034 perished. 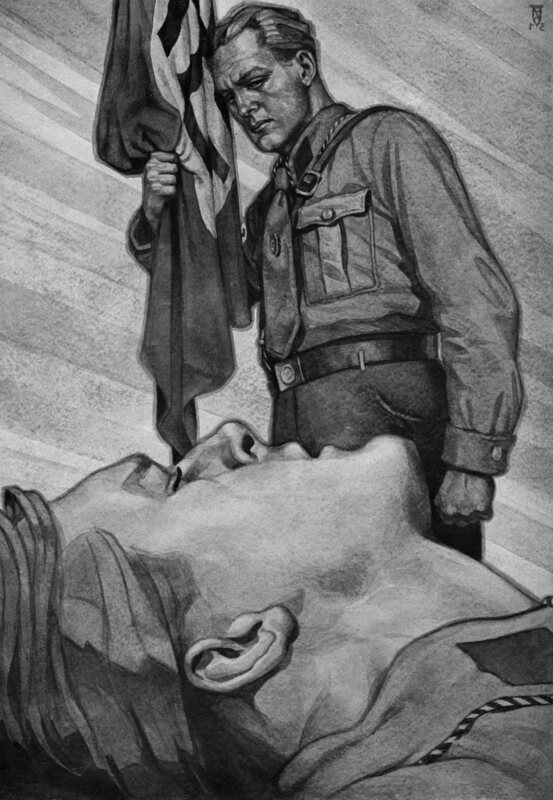 Jehovah’s Witnesses not only opposed the war they also urged others not to serve and refused to salute the flag or say “Heil Hitler,” actions they regarded as worshipping idols. 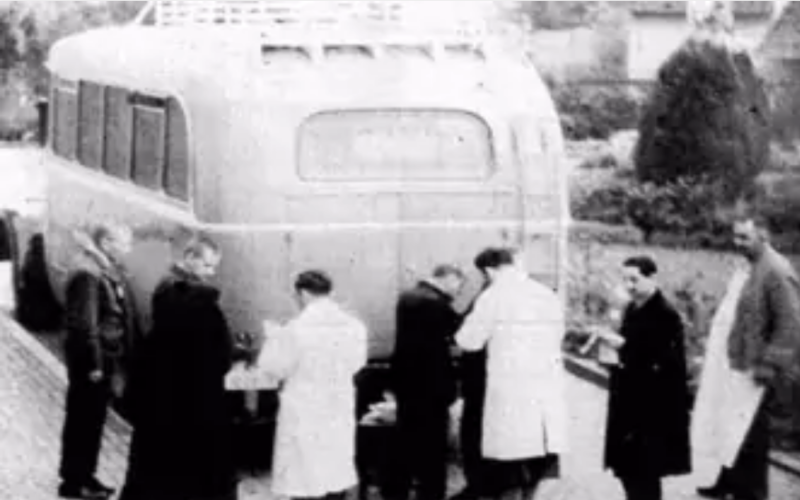 As a result, they were regarded as a threat by the Nazis, dubbed ‘enemies of the state’ and packed off to concentration camps and, frequently, to their death. Like the Jews, Gypsies were singled out for annihilation on the grounds of being racially impure, socially undesirable, and mentally defective. In 1933, a plan to put 30,000 aboard ships and sink the vessels in mid-Atlantic was abandoned but many were sterilised under the law that permitted the operation in cases of ‘mental defectives’. In Dachau, they were used in experiments to test the amount of salt water an individual could drink before death occurred. 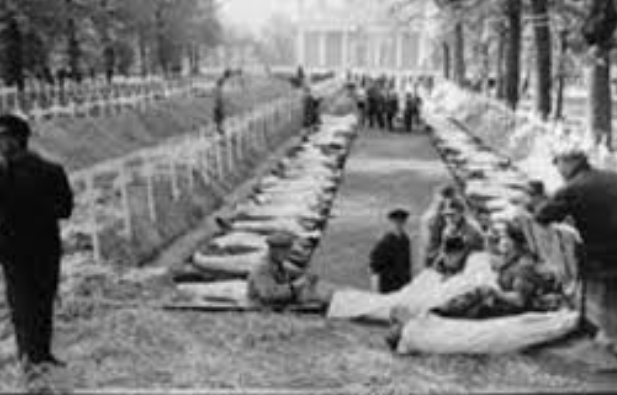 At least half a million gypsies were murdered by the Germans in the gas chambers, in experiments or in general round’s ups. Under a German penal law, of 1871, which had made homosexuality a criminal offence, homosexuals were given the choice of sterilisation, castration, or incarceration in a concentration camp where they would be forced to wear a pink triangle (rosa Windel). Police in the Third Reich had absolute power. If they did not like the way a German man cut his hair and considered him an anti-social lay-about, he would be taken into preventive custody. If they thought a German woman changed her lovers too often, she might end up in KZ-Ravensbrück (north of Berlin). 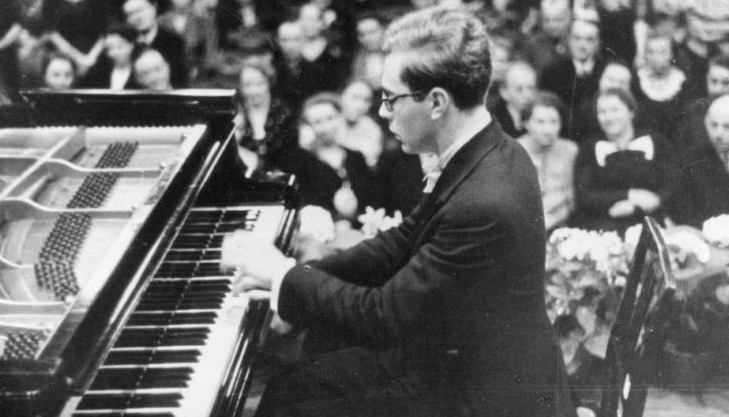 Concert pianist Karlrobert Kreitin who died for telling a joke about German defeat. The woman reported him to Gestapo and on the day of the concert he was arrested and executed. His family only heard about his murder via an anonymous phone call. They were told that Karlrobert had been hanged, together with 185 other inmates, at Plötzensee prison, on September 7 1943. Most German’s did not want to know too much. Many families were prepared to accept the murder of their closest relatives without protest, even with approval. As Robert Gellately points out, if f they failed to protest when their next-of-kin were murdered, they could hardly be expected to object to the murder of Jews, Gypsies, Russians and Poles.